Opera is a concept that has overtime become a favorite all over the world. Every major city in the world today respects that art form and has theatres which give people a chance to explore the beautiful art form. Grand Theater of Liceu is one such attraction. It is a lovely place to catch a show, spend a worthwhile evening witnessing an art form which is so amusing. Stories told through the medium of operas are some of the most beautiful stories on earth. You should definitely visit this theater when in Barcelona. Latecomers are not admitted for the tours. Pictures or any kind of videography is strictly prohibited. The schedule of the tour can modify. So check the official website. Tickets on sold are not refundable. Tickets for different tours for the theatre – check the official website. The theatre has different tours for public visit. Check the official website for details. Monday to Friday – 9:30am – 8pm (last request for tickets – 1 hour before the show starts). Saturday and Sundays – 9:30am – 6pm (last request for tickets – 1 hour before the show starts). 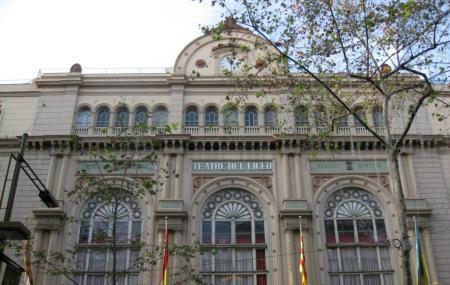 How popular is Gran Teatre Del Liceu? People normally club together Museu D'Història De Catalunya and Basílica De Santa Maria Del Pi while planning their visit to Gran Teatre Del Liceu. Very nice place. It gives the chance to enjoy high quality performance in a majestic environment. It is very difficult to find free parking near. If you are willing to pay, there are three parkings 10 minutes walking. Subway is the best option to reach the place. I use to go to this great Opera House twice a year. It is always awesome. You can get tickets for 40 € or 51 € with an acceptable visibility. Last Saturday we attend to Gioconda performance and We enjoyed it a lot.